Cardiff is classed as a sporting capital since the completion of the Millennium Stadium, hosting events such as the Six Nations, the FA Cup and the Wales Rally GB. Worldwide attention on Cardiff is set to increase further however, with the development of a £700 million sports village, featuring a snow dome and Olympic size pool with events such as the Ryder Cup in 2010. 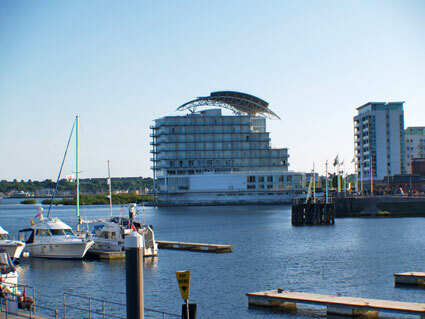 Cardiff Bay development is Europe’s largest waterfront regeneration project, the £102m development of the new Wales Millennium Centre has helped launch Cardiff into the top five most favoured travel and business destinations in the UK. The city has a distinctive character, a good quality of life and a growing national and international reputation. 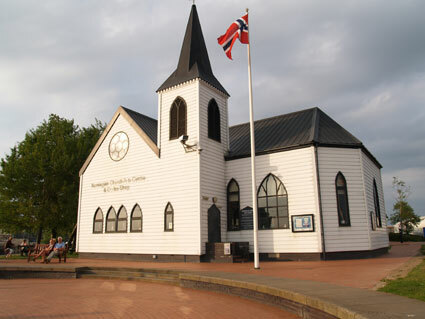 It presently plays host to numerous large and high profile events, including Britain’s largest free summer festival. Cardiff was voted as one of the top places to visit by Yours Magazine (Jan 13th 2009) as a city that offers an array of unique attractions and activities, all within easy reach and only a short distance from acres of peaceful parkland and historic sights. Cardiff (Welsh: Caerdydd) is the capital and the largest city and county in Wales. According to recent local government estimates, the population of the unitary authority area c. 320,000. Cardiff has a huge array of parks and open spaces, three of which have achieved national Green Flag status. Cardiff is also the proud holder of the National Britain in Bloom Award for the Large City category 2005 and Gold in the European Entente Florale competition 2006. Sir Anthony Hopkins born in Port Talbot and attended the Royal Welsh College of Music & Drama in Cardiff, from which he graduated in 1957. Richard Burton was born Richard Walter Jenkins in the village of Pontrhydyfen, Wales. Terry Nation the creator of the Daleks in Dr Who. What’s on Cardiff received an e-mail from “Ruth” who is very passionate about her country and has given us a right ticking off – so apologies Ruth, we are please to add other famous Welsh people born in or near Cardiff ,Tom Jones,’Jones the voice’ born in nearby Pontypridd, Cerys Matthews born in Cardiff, singer and actress Tessie O’Shea and the Stereophonics , so I hope these additions meet with approval, please let us know if we there are more.